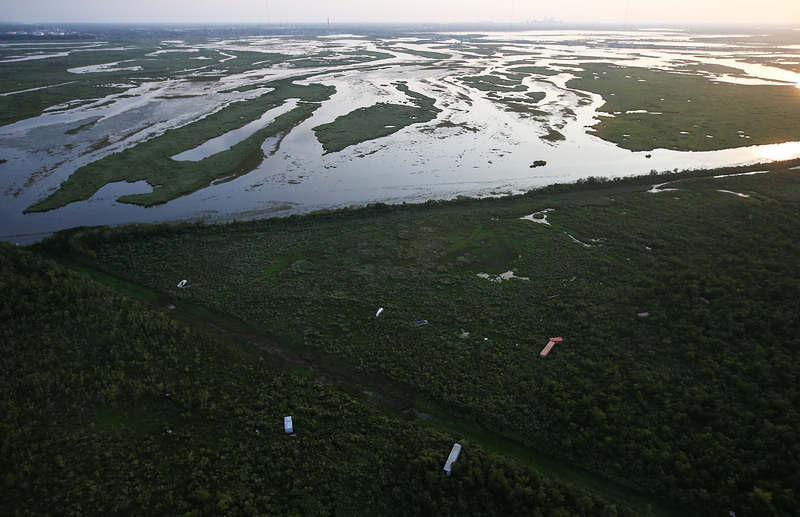 Over the course of the past decade, residents of Louisiana have dealt with a number of natural disasters. From the catastrophic damage wrought by Hurricane Katrina to the historic amount of rain that is continuing to come down on southern Louisiana, residents need all the help that they can get to rebuild and upgrade infrastructure and deal accordingly with the life-altering weather. While there is a lot of large-scale systemic work that needs to be done, for the time being, there are several ways you can help Louisiana flood victims. The Red Cross has opened up shelters for the flooding victims, and have set up a dedicated online donation form for people around the world to donate to the effort to help people affected by the serious natural disaster. Additionally, Catholic Charities of the Diocese of Baton Rouge has deep roots in the community, helping people of all faiths who are in need with a diverse array of social services. In a statement on their website, the Catholic Charities chapter in the Baton Rough diocese said: "We'll be around for the long haul, assisting families to rebuild their lives to become whole again." One of the organizations on the ground now is called The United Way. The United Way of Southeast Louisiana is asking for donations and volunteers — if you happen to be able to get out there — on its website. The organization is also offering updates from the scene of the flooding on this page. Convoy of Hope is providing logistical support in the form of food, water, equipment and relief supplies to victims of the flooding in southern Louisiana, and to the volunteers and professionals lending a helping hand. Based in Missouri, they have been instrumental in helping out victims of natural disasters for the past few years. You can support Convoy of Hope's work in Louisiana at this donation page. The Salvation Army also has their local network in place to help with disaster recovery efforts. While their Baton Rouge facility has been affected by the flooding itself, they are still helping out as much as they can by setting up mobile canteens, compiling hygiene kits, and sending people out into the community to assist with immediate needs. The Salvation Army's Gulf Coast Fund is accepting donations online, or by personal check. Even if you happen to be low on cash, there are other ways that you can get involved. Spreading the word about relief efforts on social media to people who might have some money to spare is always a good idea. If you wanted to take it a step further, you can always organize a fundraiser at your school, work, or in your neighborhood, and pool the resources in your community to make a difference. Finally, make sure to exercise good judgment when it comes to deciding which organizations you give your hard-earned dollars to. In March of this year, after another significant flood, Attorney General Jeff Landry's office put out a statement warning people about scam charities, as well as contractor fraud and real-estate scams: "Our neighbors have been devastated by the recent flooding across Louisiana. I do not want them to be further damaged by con artists preying on people who are down on their luck." Wise words for anyone to keep in mind whenever looking into sending money to help out after a crisis, for sure. Anything you can donate — whether it's time or money, or even both — will make a world of difference for people who have been displaced during the devastating floods.